From Worcester, head out on the A449 towards Kidderminster. At the roundabout next to the Mitre Oak Pub, take the first turning for the A4025 (Stourport Road). Then take the next left onto Bishops Wood Lane, there is a brown sign at this turning for the Centre. It is a sharp turning, and easy to miss! Heading along this lane and then shorlty you will see the Bihsps Wood Centre entrance on your left. The Bishops Wood Centre is approximately 7 miles from Worcester. The bus service number is the 303 to Kidderminster. The bus station is 5 minutes walk from Foregate Street in the City Centre, 20 minutes from Shrub Hill. Alight at Crossway Green (The Mitre Oak pub). The bus journey is approx. 25 minutes. From the Mitre Oak pub to the Centre is 5 minutes walk. Walk in the direction of the A4025 on the Stourport Road, staying sfely on the paved side of the road. Soon there will be a turing on the left for Bishops Wood Lane. You should alos see a brown sign for the Bishops Wood Centre. The clearly marked entrance to the Bishops Wood Centre is a few miuntes walk along the lane on the left hand side. 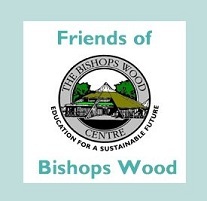 The Bishops Wood Centre is approximately 5 miles from Kidderminster. The bus service number is the 303 or 304 to Worcester. As with the Worcester service you need to alight at Crossway Green (The Mitre Oak pub) and follow the insturctions as for Worcester.